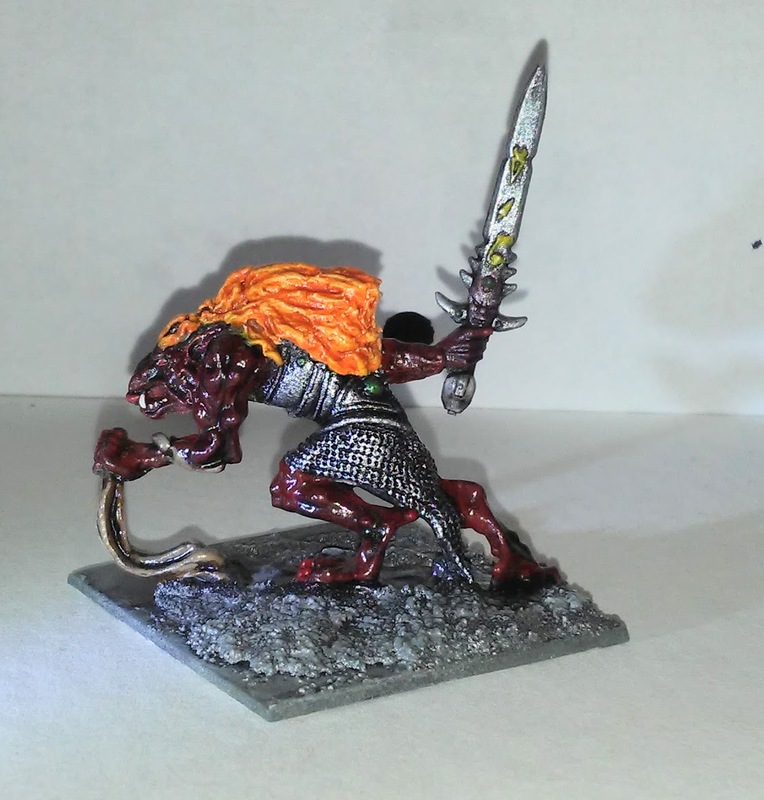 Haven’t been doing a ton of painting lately but I did manage to paint the wingless Ral Partha “Armored Balrog” I posted about earlier, and also some zombies. All the photos should let you click to embiggen. I started off painting his skin completely black, but it seemed a shame to cover up all the detail in the sculpt. 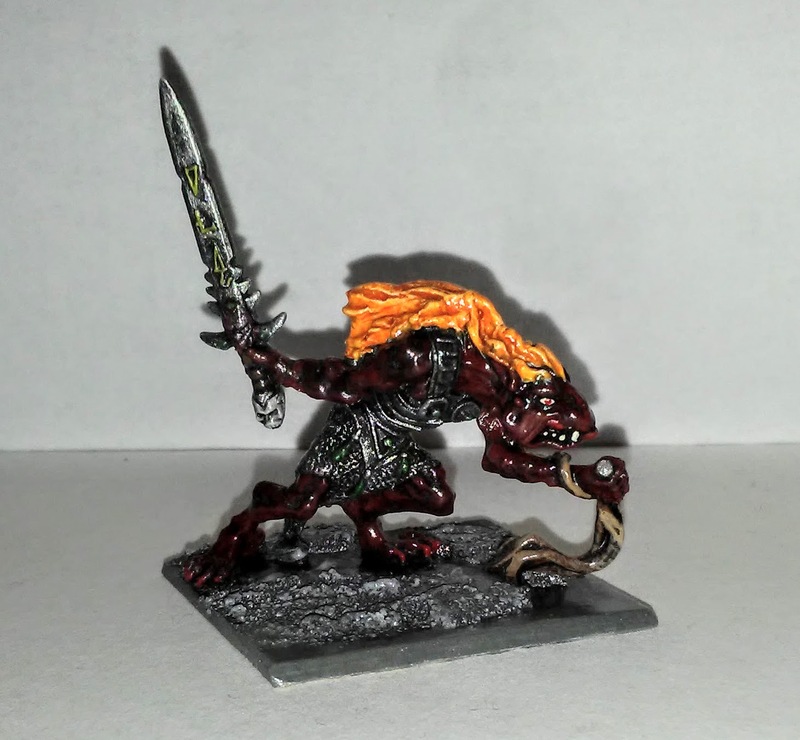 Grey highlights would make him look too cold, so red it was. I might have spent more time on the flaming mane, but the contrast was good enough IMO to get the idea across. 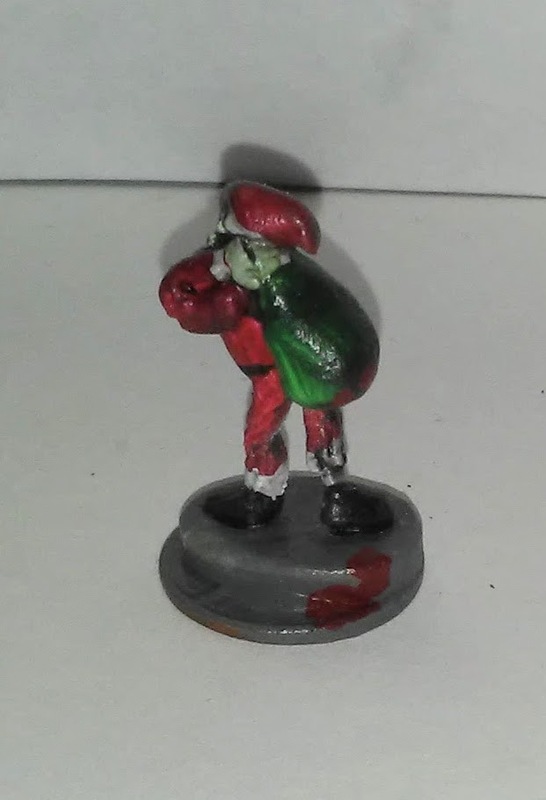 He was just a side project while painting up the zombies anyway. 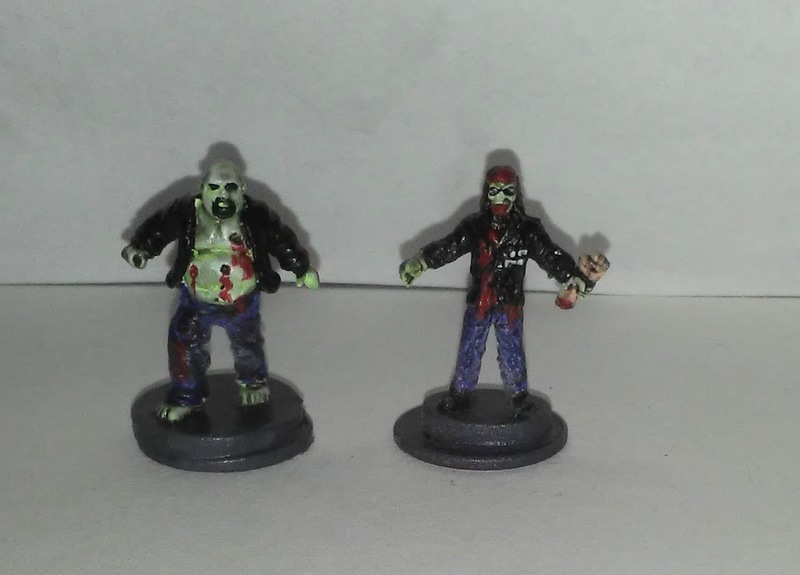 The zombies are part of a larger set I started working on some time ago. The “Zombies!! !” game is a good beer & pretzels kind of boardgame, but what sold it for me was of course the 100 zombie minis. Over the years I’ve picked up a few “Bag o Zombies!! !” sets, though I wish you could get them in smaller quantities. 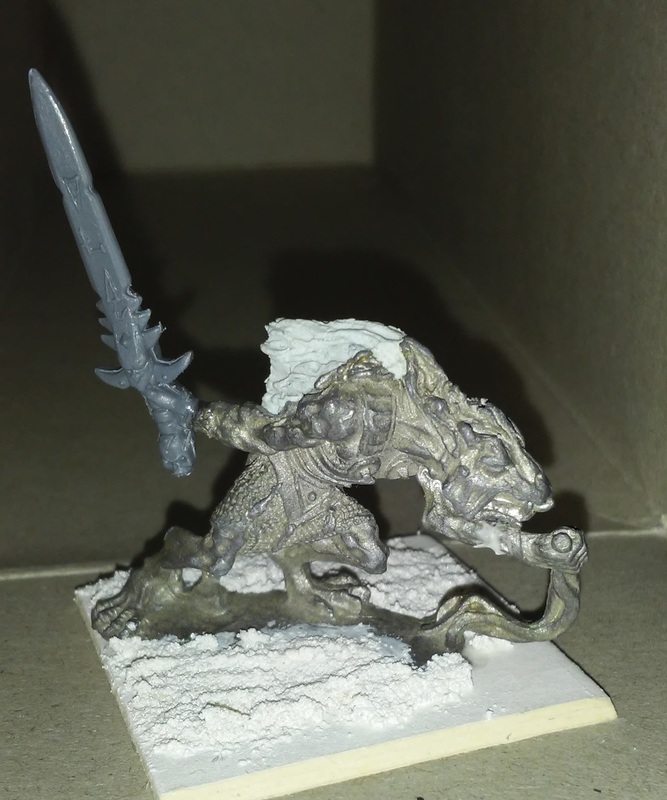 Anyway because the poses are pretty limited, I started making minor conversions to some to see if I could achieve some more variety. 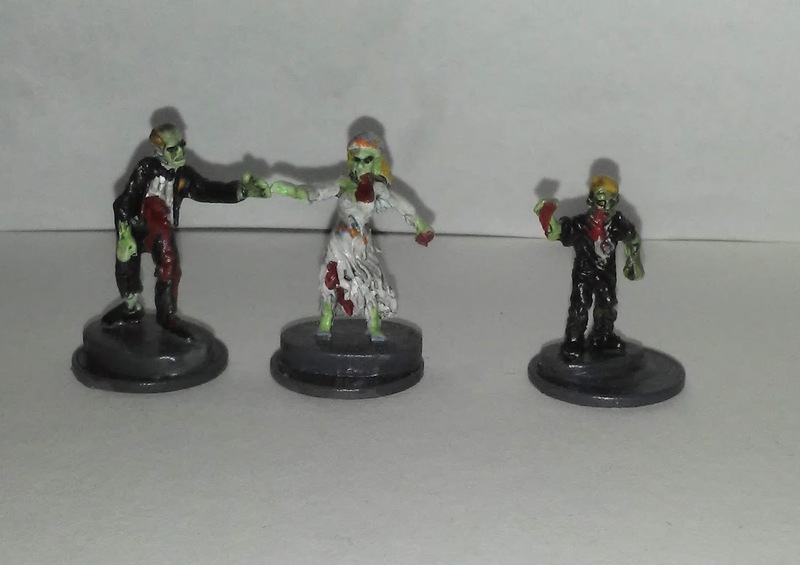 Here’s the first few, based on two male zombie poses, the female zombie, and the zombie kid, as well as a couple of zombies from the Doom boardgame. 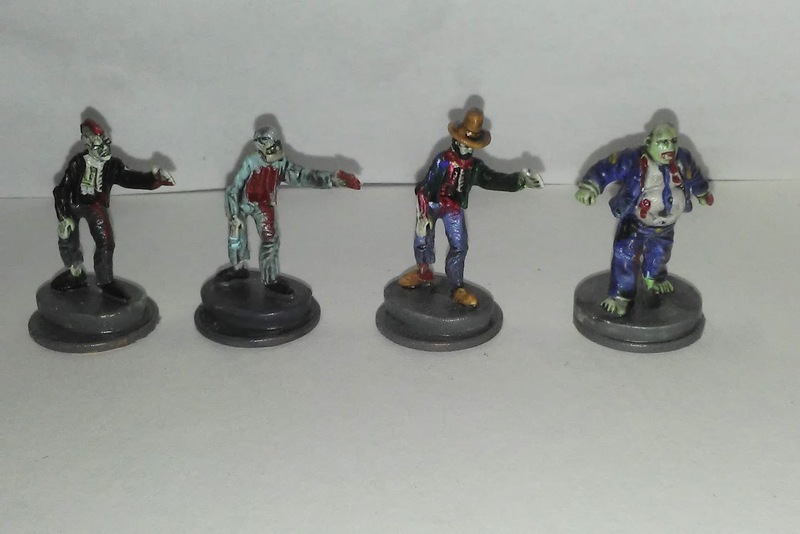 The paint jobs are pretty simplistic, and I used a pale green skin tone to make them more immediately recognizable as undead. I had in mind the crummy colorized verison of “Night of the Living Dead” that you used to see on VHS in dollar stores. First up, some boy souts and their scout leader. In hindsight the red bandannas look too much like more gore. Next up, a bridal party. I still need to figure out how to do a flower girl. The guy had tails added to his jacket to suggest a tux and the girl had her dress extended, a veil added, and the severed head normally in the pose’s hand removed. Two bikers — the big guy is from Doom, the skinny guy is from another Zombies!!! set. Some miscellaneous people. A punk rocker with mohawk (Return of the Living Dead! ), a surgeon (just added a mask and cap), a farmer (head swap from a cowboy), and a security guard (Doom again). 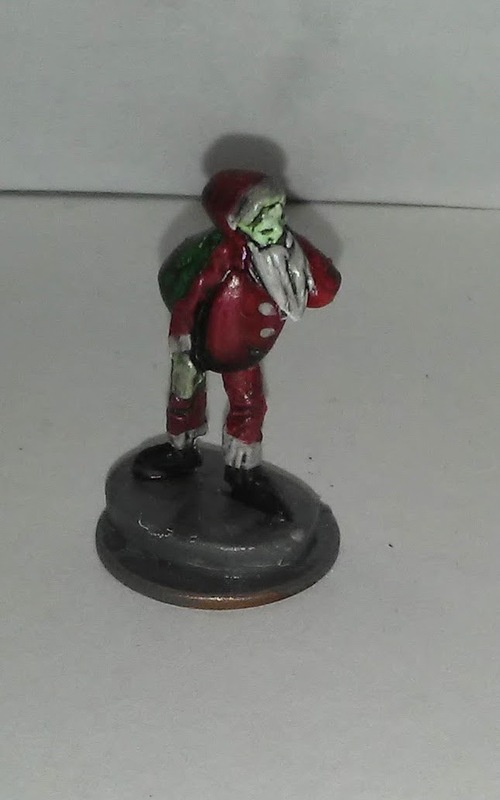 And of course you need a zombie Santa. His right arm was pinned back to hold a sack, and the sack, hat, belly, and beard were all added with some Liquid Nails (the older thick formula which I can’t find at the hardware store anymore). I still have a lot more of these to paint, and some ideas for more variations, but that may have to wait a while. Lastly a weirdo monster that I can’t really identify. I believe it was from a HeroClix set — I picked up a bunch of HeroClix stuff from a bin in a hobby shop a few years ago to use for conversions. Some kind of alien critter. This one had to have his two hind legs replaced, but for $.25 you can’t go wrong really. I stayed pretty close to his original color. He seems to have two tails and two tentacles in addition to four legs. If you recognize this from the DCU or MCU let me know! Very cool, Mike! Did you, by chance, to snag one of the 3 Headed Trolls that was on eBay a few months ago? No, haven’t been watch ebay. How much did they go for? 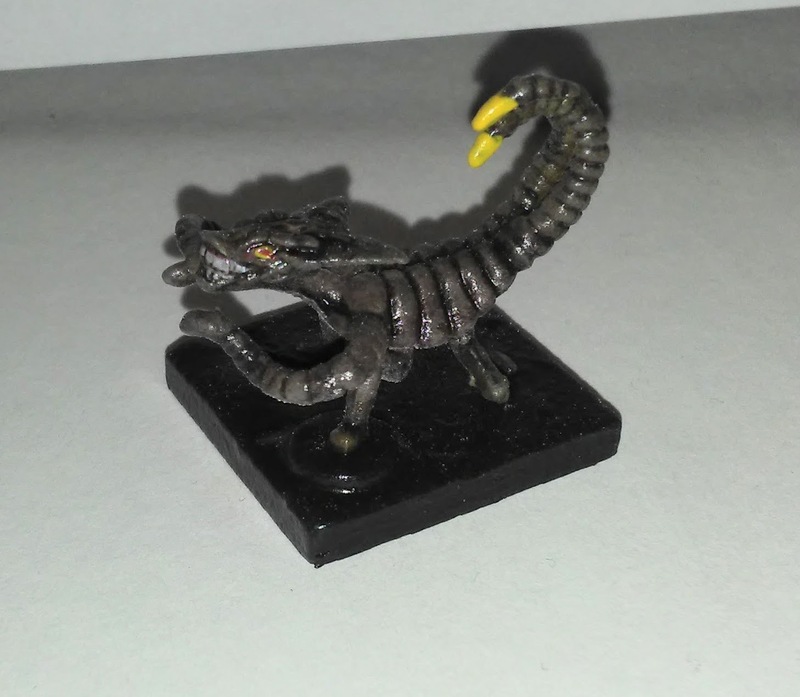 The HeroClix beastie is one of the alien Brood from the X-Men comics. Great job on the zombies, BTW. Rather like that last one, but it remind me of a much older piece with a solid base.